Daniel C. Jackling was a mining and metallurgical engineer who revolutionized the copper mining industry early in the 20th century by pioneering and developing the processing of low-grade porphyry copper ores. He was born 04 August 1869 near Appleton, Missouri and earned his B.S. in 1892 from the Missouri School of Mines, Rolla, Missouri (now the University of Missouri-Rolla). By 1900 with the dawn of the electrical age, demand for copper was increasing while deposits of high-grade copper ore were dwindling. Jackling introduced open-cut copper mining (mining deposits from the surface) at Bingham, Utah and demonstrated that the mining of low-grade ores, containing only two-percent copper, could be economically profitable. He also introduced improved extraction/flotation processes resulting in a higher-grade concentrate for smelting. He organized the Utah Copper Co. in 1903 with the Bingham Canyon property. By 1910 a consolidation of mining companies occurred with the merger of Boston Consolidated Mining into Utah Copper. Shortly thereafter, UC gained control of Nevada Consolidated Copper through stock ownership. In 1915, the Guggenheim's Kennecott Copper Corporation obtained 25% interest in UC. By 1925, KCC held 95% ownership of UC. Jackling continued to run the Utah and Nevada operations and was named a director of KCC. 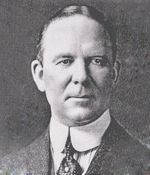 In later years he served successively as Managing Director, Vice President and President of Utah Copper and in similar positions with Nevada Consolidated Copper Corporation (Ely, Nevada), Ray Consolidated Copper Company (Ray, Arizona), Chino Copper Company (Chino, New Mexico), Butte and Superior Mining Company (Butte, Montana) and the Mesabi Iron Company (Minnesota). His awards and degrees include: the Cold Medal of the Mining and Metallurgical Society of America (1926); the William Lawrence Saunders Gold Medal of the American Institute of Mining and Metallurgical Engineers (1930); the John Fritz Medal of the Engineering Societies of New York (1933); Honorary D. Eng., Missouri School of Mines, (1933); Honorary LL.D., University of California (1940); Honorary D. Eng., University of Southern California (1940); and Honorary Sc.D., University of Utah (1942). Jackling retired from Kennecott Copper in 1942. In 1954, on the occasion of his 85th birthday, the rotunda of the Utah State Capitol was graced with a nine-foot-high memorial statue of Jackling, cast with Bingham Canyon copper. In 1988 Jackling was inducted as the 13th member of the National Mining Hall of Fame, Leadville, CO.